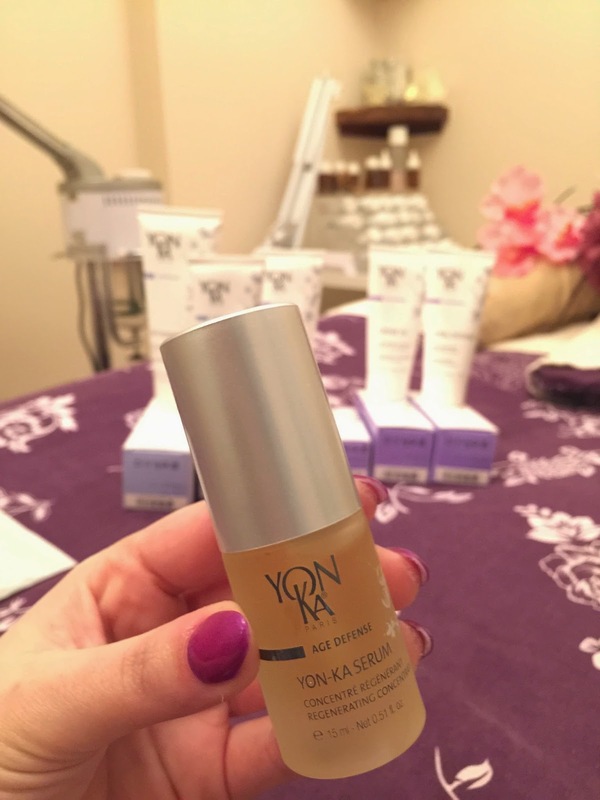 I was invited to Tiger Lily Beauty Salon yesterday for a Yonka facial and OMG it was seriously the most luxurious treatment I have ever had. 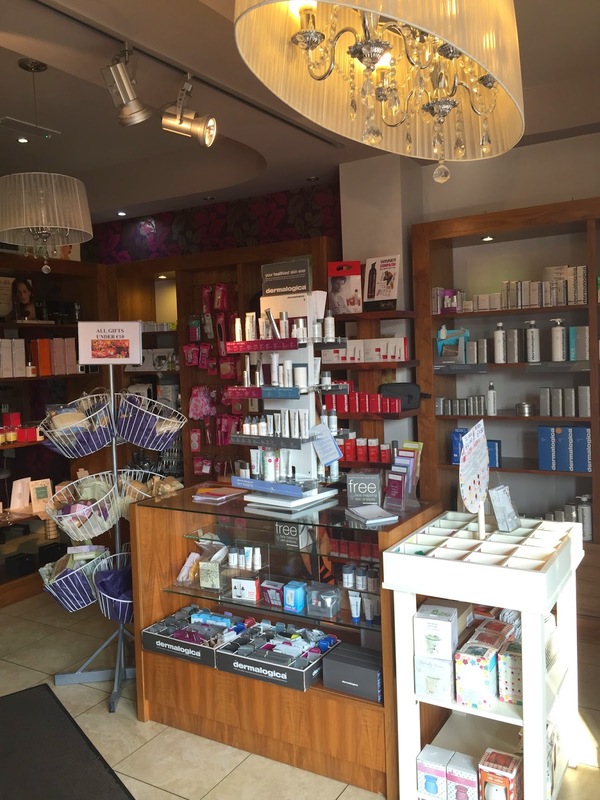 The beauty salon is located in Rathcoole and you can call them on (01) 401 3634 to make an appointment. Getting into the facial itself, the hydralessence visage is a high performance facial that revives the dullest of complexions. 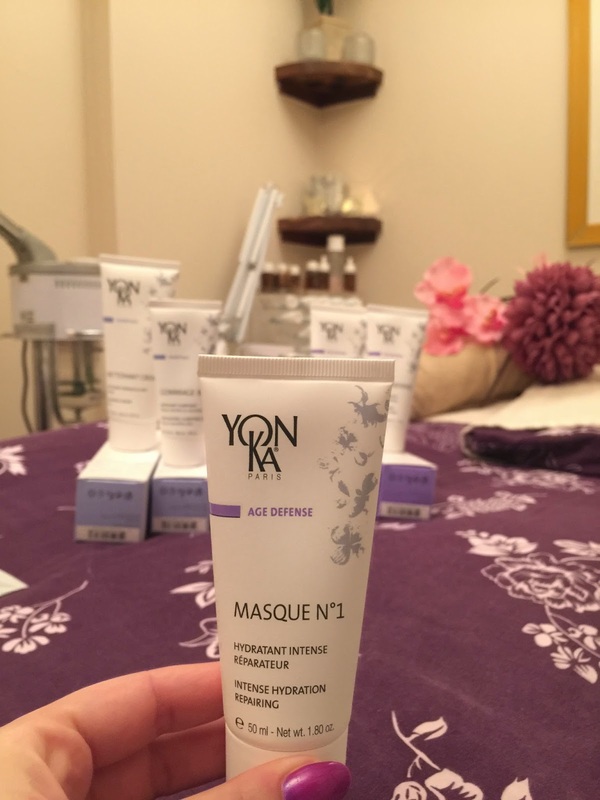 The Yonka products used during the facial are rich in essential oils and packed with fruit extract and green tea. The perfect antioxidant combination. Everything from the strong aromas of the creams and elixirs to the exfoliating properties of the Gommage 305 peel were perfect. 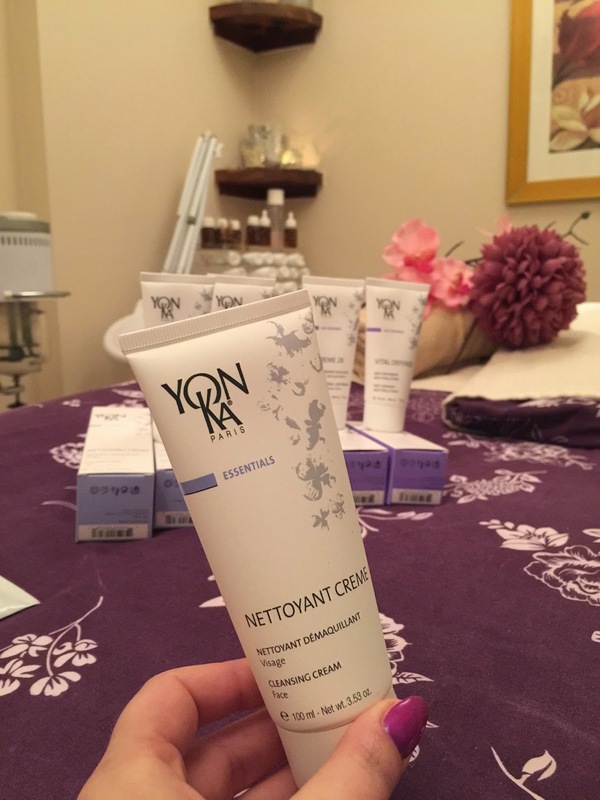 Each product Niamh applied made me love the facial even more. My favourite part of the 75 minutes was when Niamh applied the second face mask, the Masque Modelant. As soon as she started to mix the mask I could smell the amazing fruit extract. It felt cooling on the skin and so refreshing, especially when she applied it to my eyes. It was so soothing to my tired eyes. Here is a scary picture of me with the face mask on haha. I have to say I was so impressed with the treatment I received and last night when I was doing my own night time beauty routine my skin felt amazing, so dewy and plump :) I am so excited to book in for my next facial with Tiger Lily. 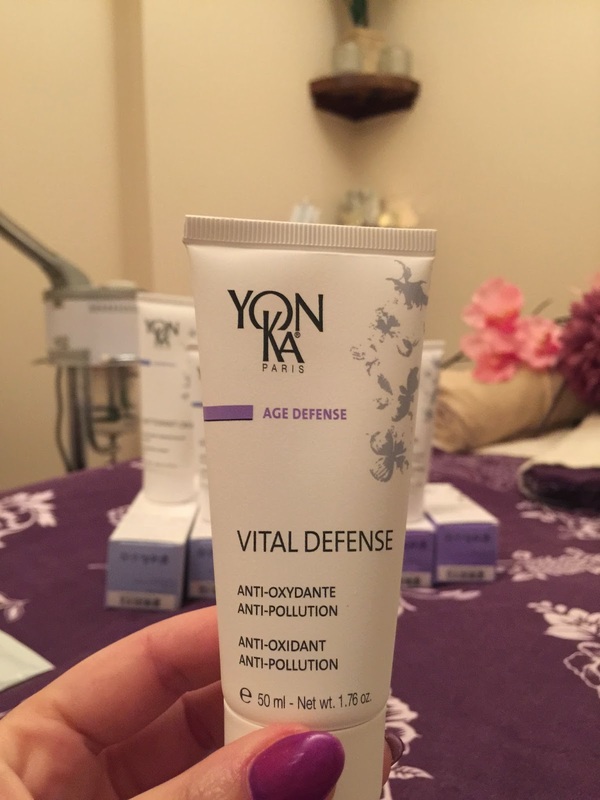 I am going to make it my business to really look after my skin this year. Here is a look at the amazing products that were used in my facial. 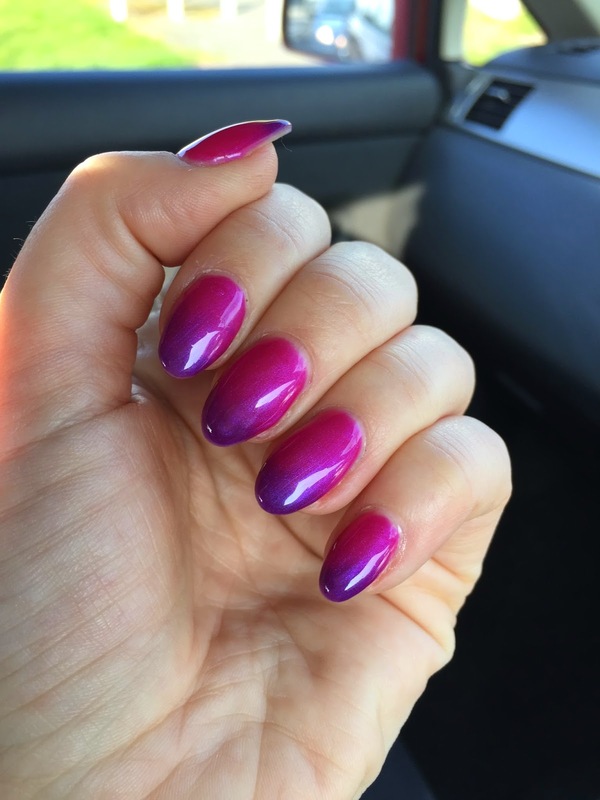 I also had my gel nails refilled by the owner Niamh and I am so happy with the way they turned out. She used a new product that changes colour with the temperature. When my hands are cold they are a gorgeous deep purple but when my hands heat up they go a fab vibrant pink. A massive thumbs up for me for Tiger Lily Beauty Salon. Such amazing service in a relaxed and friendly environment.